My 3yr old daughter has been very big into dress up and with Halloween, her Birthday and Christmas all so close together, there has been so many dress up pieces constantly scattered all over our home. I took to internet to look up ideas on how to "try" and keep everything tidy. My husband made measurements, went to Home Depot and priced everything out. It was then that the idea came to us to use the top portion of our TV Armour that was just sitting in the basement collecting dust. He took the doors and door tracks off, installed shelves, sanded, filled the holes on the back, primed and painted and the final touch was to put a decorative shelf liner on the inside covering the back (it matches the inside of her dresser drawers). The beauty of this TV Armour was that it already had a hanging wardrobe bar inside, it just had to be shortened in length and re-installed. Couldn't be any more thrilled with how this DIY Dress Up Closet turned out!! 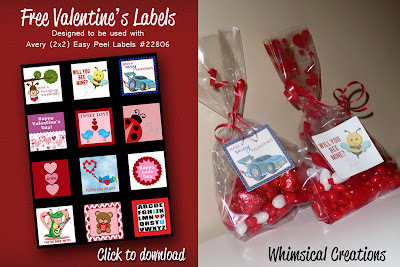 Whimsical Creations is giving away FREE Valentine's Labels!! "Like" us over on our Facebook page https://www.facebook.com/#!/WhimsicalCreations.ca and find the download link underneath our profile photo. 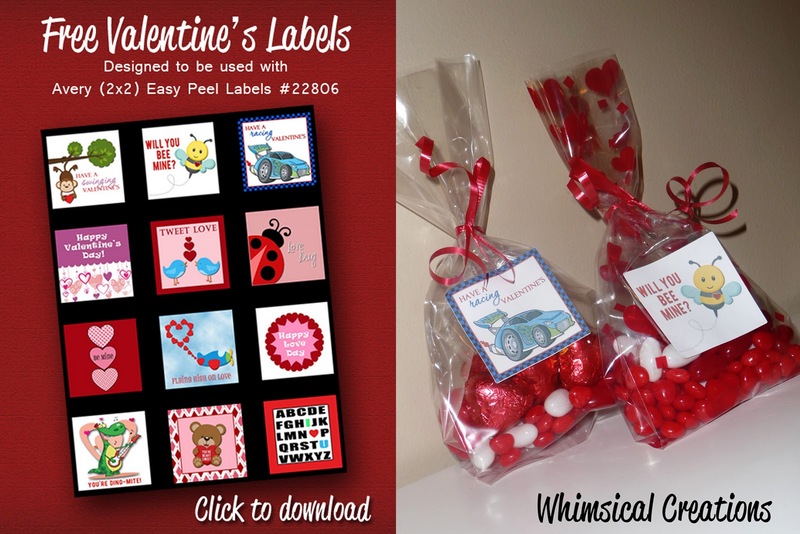 Please contact me at cheryl@whimsicalcreations.ca for details on how to claim your prize! Just a friendly reminder that Hamilton Baby Expo attendees receive 20% off your entire order when you enter Coupon Code: BABYEXPO when checking out. 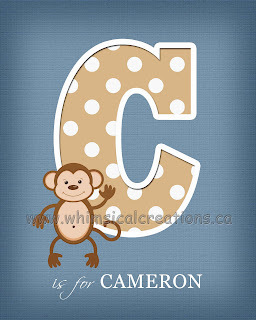 For more information on our Letter Wall Art / Letter Name Art, please check out our website http://www.whimsicalcreations.ca/ - these are a must have for any nursery or children's bedroom! 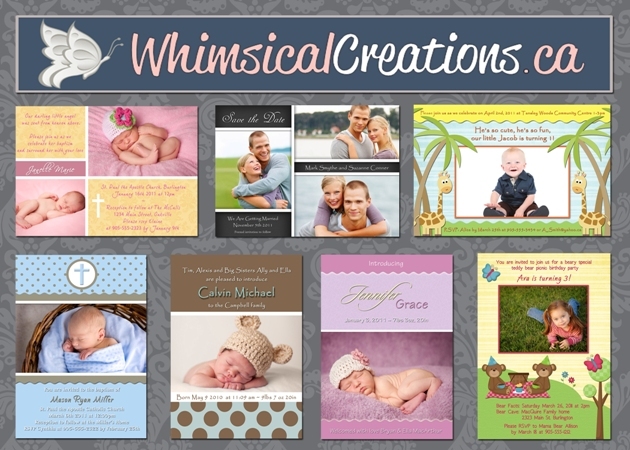 Whimsical Creations Custom Photo Designs is now selling on ETSY!!! 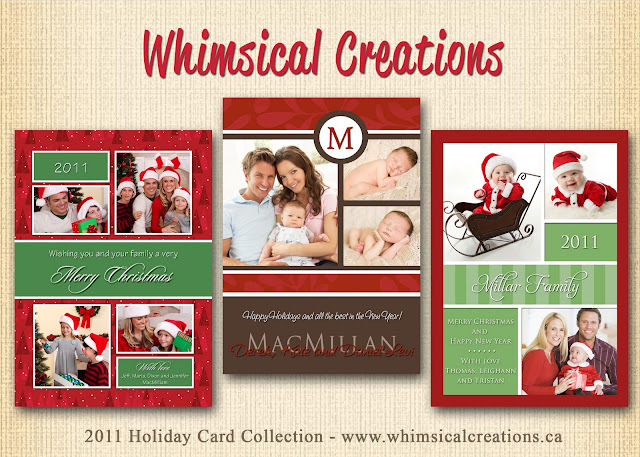 Whimsical Creations is now offering “Digital” custom photo cards through Etsy! 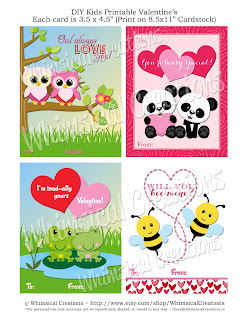 Perfect for emailing family and friends or printing at your local photo lab. 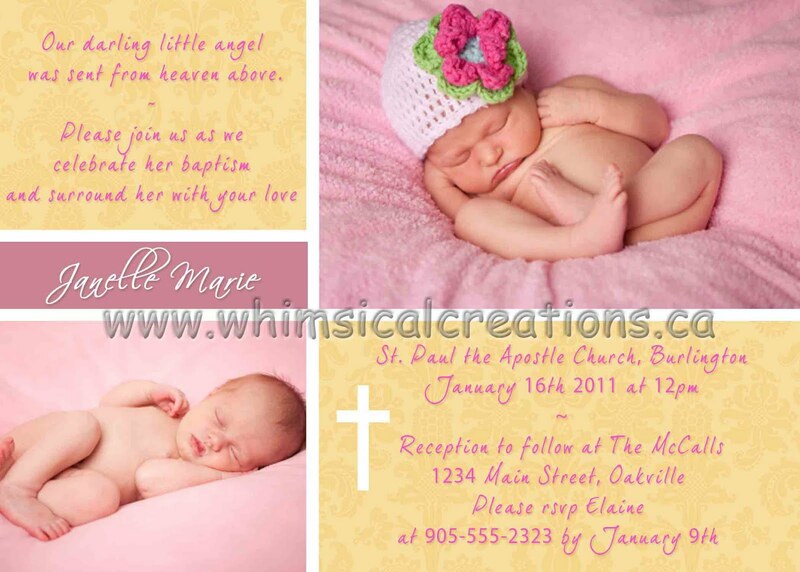 As always, we can also custom design any photo card with no additional fees. 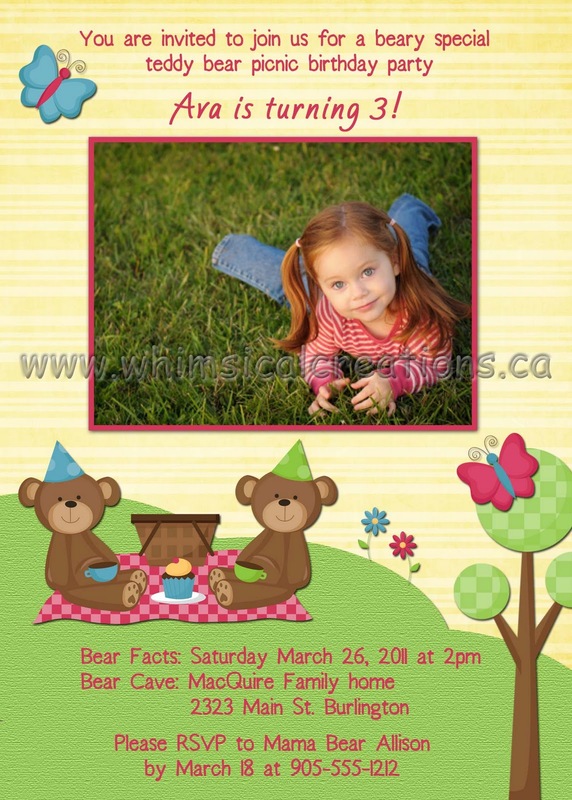 Teddy Bear Picnic Themed Birthday Invitation and coordinating Thank You card. 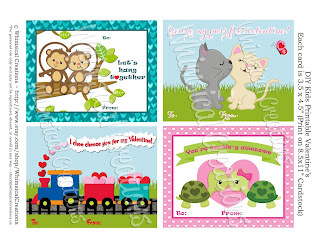 I was asked to create the thank you card for a client and loved how it turned out soo much that I created a birthday invitation to make the Teddy Bear Picnic theme. Batman Cake for my son's 5th Birthday! 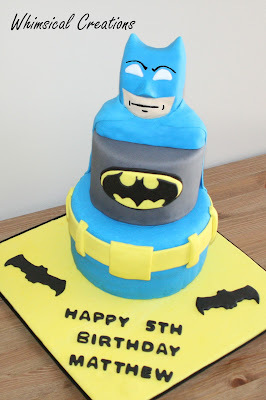 The top is rice krispy's molded into the shape of Batman's head, the middle layer is a cake dummy added for height and the bottom is milk chocolate fudge cake with chocolate buttercream filling. 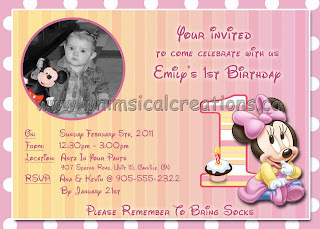 Customized Minnie Mouse Birthday Invitation and matching Personalized Thank You card. 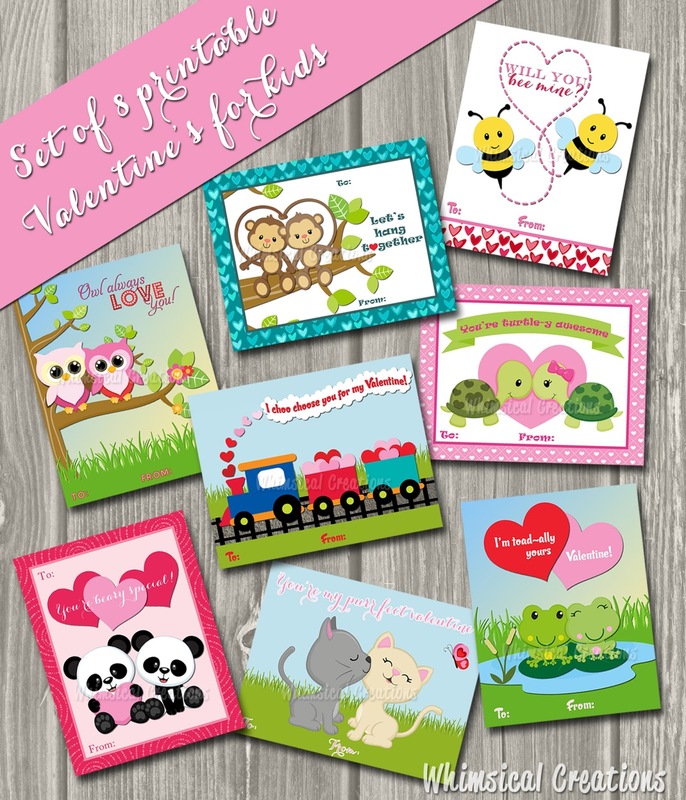 Love how the final products turned out! 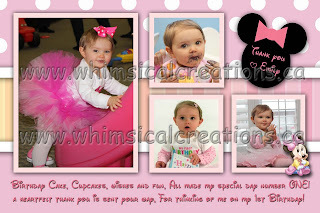 Loved the theme of this birthday party! The overall concept was inspired and designed around the birthday party invitation by The Party Mama. The teddy bears and mini-cake were inspired by Andrea's SweetCakers amazing character moldings. A cake fit for my little princess. The top cupcake cake was later used as Jordyn's very own "smash" cake. Middle tier is chocolate with peanut butter buttercream filling and the bottom is a styrofoam cake dummy covered in fondant to make the cake design complete by adding height and character. The Giant Elmo Cake was made for a little boy turning 1 and was used as a "smash cake". The Giant Elmo was made out of rice Kripies and iced in vanilla buttercream. This cake order also came along with 36 cupcakes all iced to look like Elmo, Big Bird and Cookie Monster. 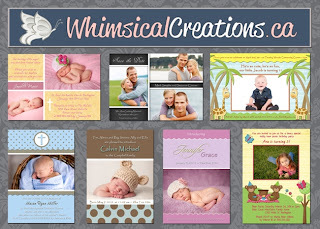 We are pleased to announce that Whimsical Cake Creations has just expanded and now offering custom photo cards for all occasions. This Toy Story cake was inspired by Sherriff Woody and was a super fun cake to make! 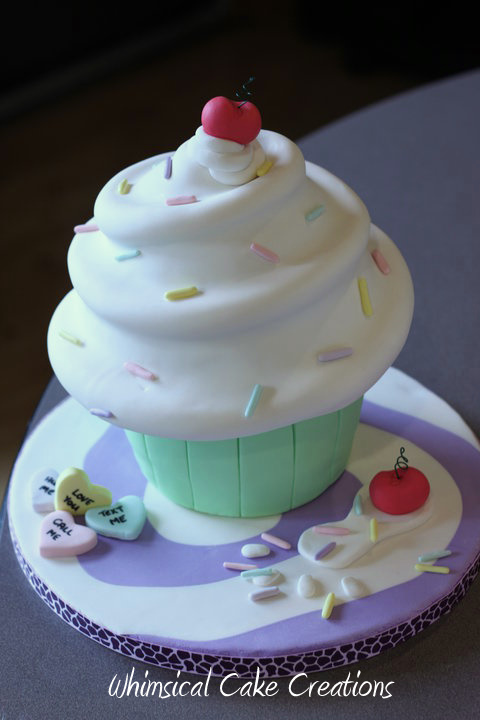 The cake is vanilla flavored with chocolate buttercream covered in fondant. 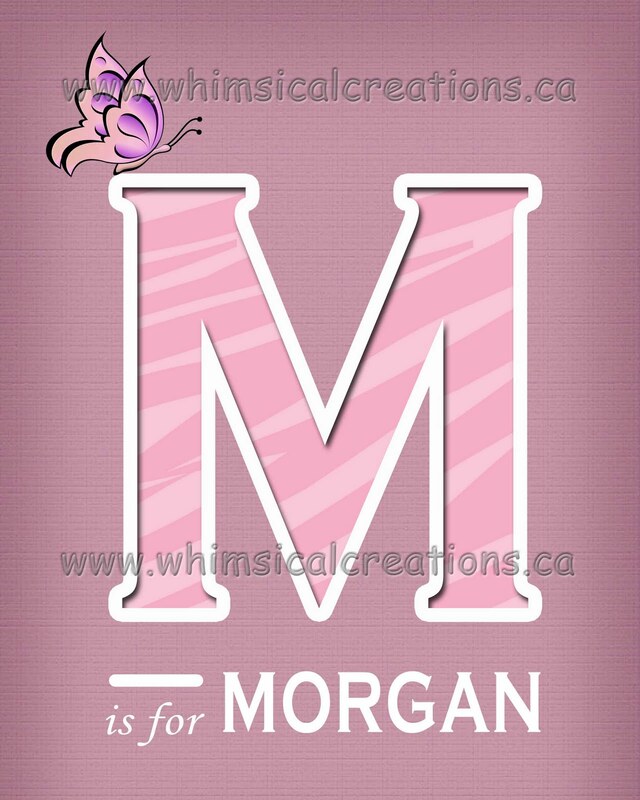 No little detail left out! Sherriff Woody’s hat is made from gumpaste. Gift Box cake made using buttercream icing and fondant/gumpaste accents. Featuring a model of the little girl's favorite stuffed bunny. This cake was made for a little girl who loves Sleeping Beauty. Her and her family just got back from Disney where she asked Sleeping Beauty to come to her party, too cute!! Cars movie theme inspired cake featuring Lightening McQueen with the checkered flag crossing the finished line, while overseeing his pals Mater, Sally and Doc Hudson from Radiator Springs cruising along Route 66 with the scenery of Cactus Canyon in the background. Top tier is peanut butter buttercream and the bottom tier is strawberry flavored buttercream with fresh strawberry pieces. I have been fortunate enough to take part in 2 very special events held by TD Canada Trust, a “sneak peek” for customers to showcase their new branch location in Burlington and a Retirement party! This cake was made to replicate the Burlington Stampeders Football Jersey. Love how the cake board completes the cake, presentation is everything! 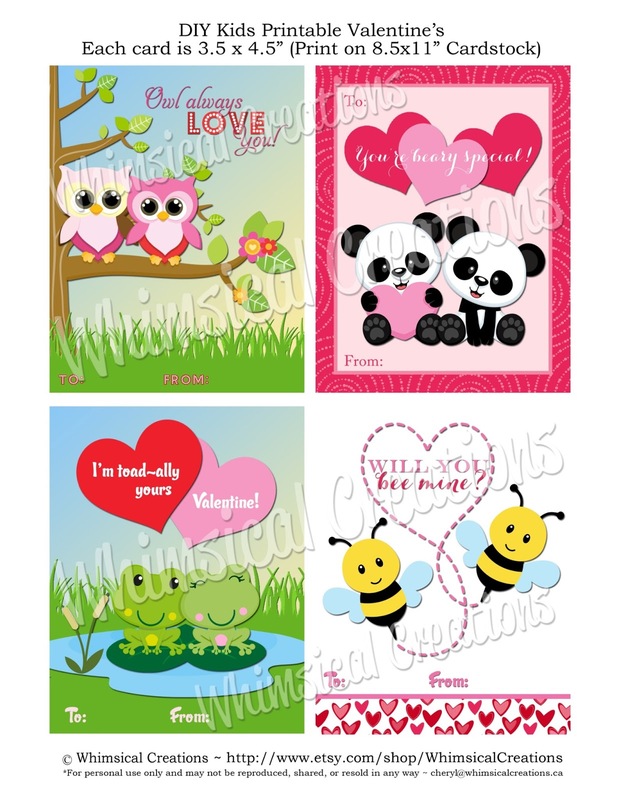 Now you can also follow us on Facebook under "Whimsical Creations"
We are doing EXCLUSIVE offers for our Facebook Fans only. This honestly had to be my best tasting cake, chocolate cake filled with peanut butter buttercream…so yummy!!! Made in my 1st ever cake class. The class was taught by the amazingly talented Andrea from Andrea's SweetCakers. This cake stands 9.5” tall! Yummy cupcakes with vanilla buttercream icing and gum paste butterfly accents. just dying to try another one of her incredible designs. The top tier is chocolate fudge cake, crumb coated in chocolate buttercream. The bottom tier is vanilla flavored cake, covered in vanilla buttercream. Love how my baby girl turned out, I had done a similar baby a year ago for my jungle themed cake. Loving My Piggy Bank, Puzzle and Bracelet Design!! (the bracelet is the only thing not edible). 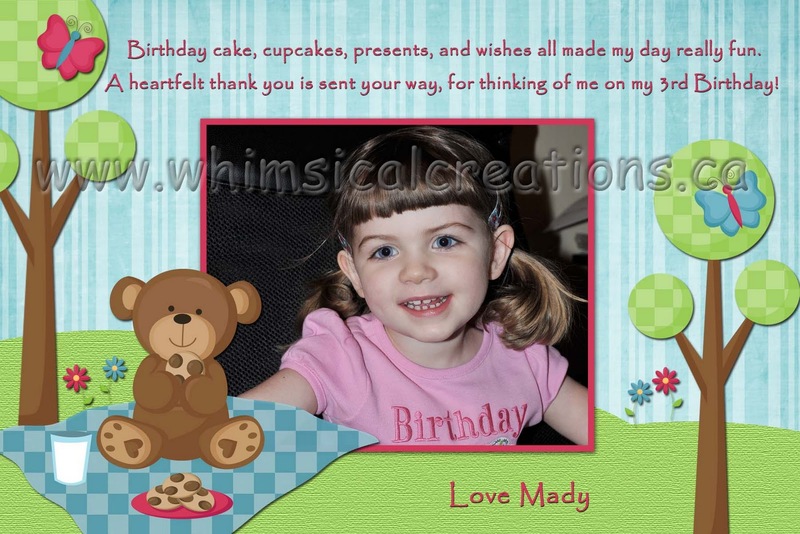 A special thank you to Andrea's Sweet Cakers for the inspiration! I’m in complete awe of her cakes so I just had to try one and this was the perfect opportunity to do so. All accents are sculpted in fondant. The heart on Baby Reid's name is a special nod to the day he was born, Valentine's Day. Matthew's 4th birthday cake was WAY oversized considering we had just family over for his party but for me it was all about looks and presentation, hence why part was real cake and part was fake. The Superhero Squad building is Styrofoam cake dummies covered in fondant and the bottom blue layer is chocolate cake crumb coated in chocolate buttercream.